The Little School Educational Foundation Character Brunch! Please join us, you’ll have a ball! A morning of princesses, superheroes, and more.. You’ll see them all! Wear a costume, let’s have some fun! A magical time for everyone! 40 Franklin Tpke., Waldwick, NJ 07463. Space is limited! Purchase your tickets today! Forward this email to friends and family who would also like to attend. ***Ticket prices increase to $20 for children and $30 for adults if purchased at the door on the day of the event. Please RSVP with your name and list ALL names and number of adults and children attending! The little school has changed are lives in so many ways,I could not believe all the different things they do for my son. From spelling and reading(that’s right reading and he’ just turned five) to all the little shows the kids put on for us. He all ways tells me about his teachers and the fun things they do together. makes me wish I went to a school like this when I was five, But even better my son gets to. Thank you little school!! 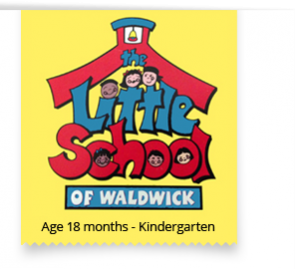 The Little School of Waldwick is a great choice for your children. When you visit the school, you’ll know exactly what I mean. Great learning environment for little ones.